ABOUT STEP 4 ACTING - For ages 11-adult. A complete, comprehensive acting program, 1-2 years of intensive work and study that can be done anywhere in the world, with a single partner to work with. From an Emmy Award, Dramalogue Award winning director of over 250 productions, and 40 years experience teaching professional actors..
Develops communication and people skills! A SERIOUS acting program, aimed at professionalism! Written by an award-winning actor/director! INCLUDES the Artist's Basics Course! Complete and ready to use! Start now! I put five students on the Acting I course today and they are THRILLED! They are already having so much fun that I have a couple others I may be putting on tomorrow. I have not seen those students look that happy since we started and it was a delight to see. They are already planning to put on a skit/play for the younger kids at the school. This is the second book - twice the size of theTHE GREAT ACTOR'S HANDBOOK ! This book provides over 100 scenes from plays and screenplays, covering the entire history of theater and acting, as well as many contemporary monologes and scenes. Every scene (there are 105 of them) is explained, as to what is happening in the scene, and who the characters are. Monologues (there are 50) are covered in the same manner! The key or tough words, or archaic words, are all defined, for every piece! 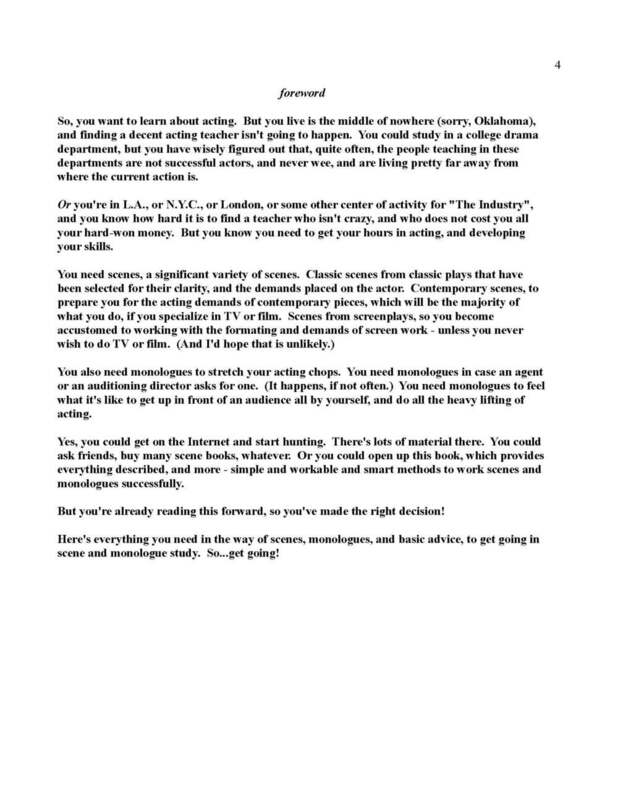 The play or film's plot (story) is provided, with a precise explanation of what is happening in the scene or monologue. 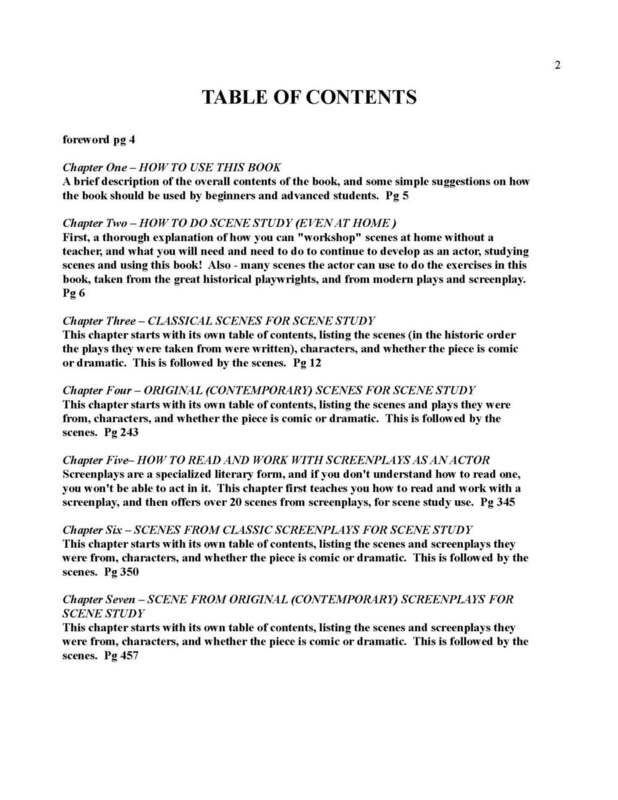 All the help needed is provided, including chapters explaining exactly how to do scene study at home, and how to develop a monologue performance.